Mercer Wisconsin is located in Iron County one of the northern most counties of Wisconsin. We are easily accessible from the major cities of Madison, Milwaukee, Minneapolis, and Chicago via U.S. Highway 51. We are also accessible by airlines out of Minneapolis and Chicago via Rhinelander, Wisconsin and Ironwood, MI airports. Rental cars are available at both airports. You can also fly from Chicago (Wheeling) Illinois to Woodruff/Minocqua or Eagle River via Trans North Avaition in Eagle River, Wisconsin. The Woodruff/Minocqua airport does not offer rental cars. From Chicago: Take Interstate 90 West to Interstate 39 in Portage Wisconsin. Interstate 39 changes over to U.S Hwy 51 North. Continue North on U.S Hwy 51 to Mercer. From Milwaukee: Take Interstate 94 West to Madison where it merges with Interstate 90 and continue North to Interstate 39 in Portage Wisconsin. Interstate 39 changes over to U.S Hwy 51 North. Continue North on U.S Hwy 51 to Mercer. From Madison: Take Interstate 90 West to Interstate 39 in Portage Wisconsin. Interstate 39 changes over to U.S Hwy 51 North. Continue North on U.S Hwy 51 to Mercer. From Minneapolis: Take Hwy 8 East or Hwy 70 East to U.S. Hwy 51 North to Mercer. Fishing… If fishing is your forte, this is the place! The Mercer area is home to an abundance of good fishing lakes filled with Northern Pike, Bass, Musky, Walleyes, and many varieties of panfish. A good number of our lakes are ranked as “Class A” Musky Lakes; a good place to finally pull in that trophy-sized fish. 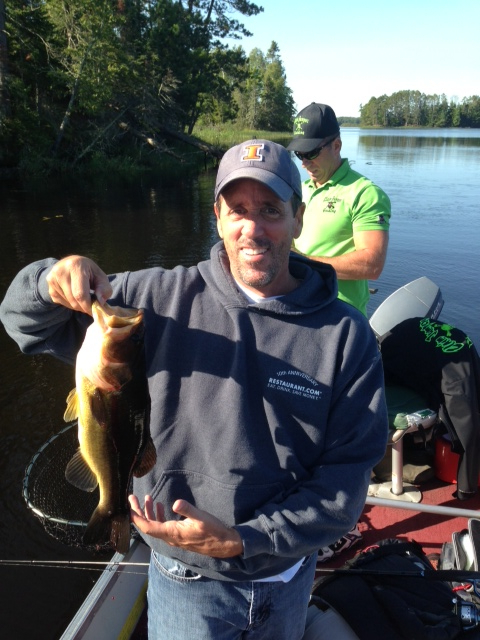 The North and South Forks of the Flambeau River offer Lake Sturgeon, Musky, Walleyes and Smallmouth Bass. Our large number of lakes, streams and ponds offer a good source of Bass, Brown, Brook and Rainbow Trout. Snowmobiling… By day or night, trails around here are some of the nicest you can find. Wide, well groomed, and clearly marked, they link many warm and friendly places to meet or lodge. Whether riding through the Flambeau Trails of the Chequamegon, down the old Omaha rail bed known as the Tuscobia Trail running from Park Falls north to Rice Lake, or over hundreds of miles of county and club trails, you will find why the Mercer area is great snowmobile country! Hunting… Hunting in the Mercer, Wisconsin area is sure to provide you with a rewarding experience. Our large area of public lands with low competition from other hunters offers the ideal hunting conditions. Mercer boasts the most habitat for ruffed grouse anywhere! As “The Ruffed Grouse Capital of the World” this is definitely the place for hunting. Many miles of hunting trails are seeded and mowed and are gated to prohibit motorized use. These are in the heart of the best habitat areas. The Mercer area is ideal black bear habitat. Many acres of public lands are open to hunting for the hunter who prefers using dogs or those who prefer using bait stations. Both types of hunters have had excellent results as our abundance of good habitat contributes to a large bear population. Hiking… Hiking in Mercer offers an excellent chance to get out there and really “commune with nature.” Many miles of trails are closed to motorized use and offer an excellent chance to enjoy the peaceful serenity of our northwoods. Numerous trails offer a short hike or a chance to enjoy a more lengthy backpacking trip from all day to several days with camping along the trails.